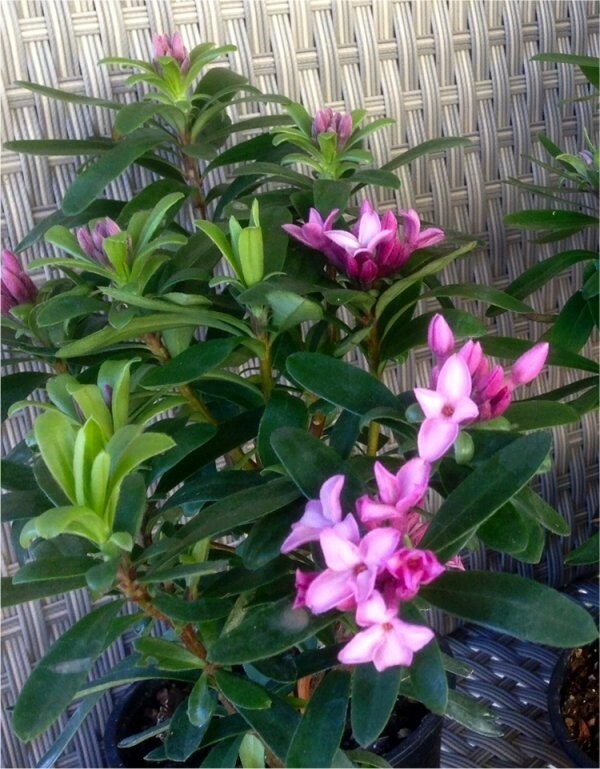 A brand new and exclusive variety of Daphne, you may find this listed else where, but you probably won't find it on sale! 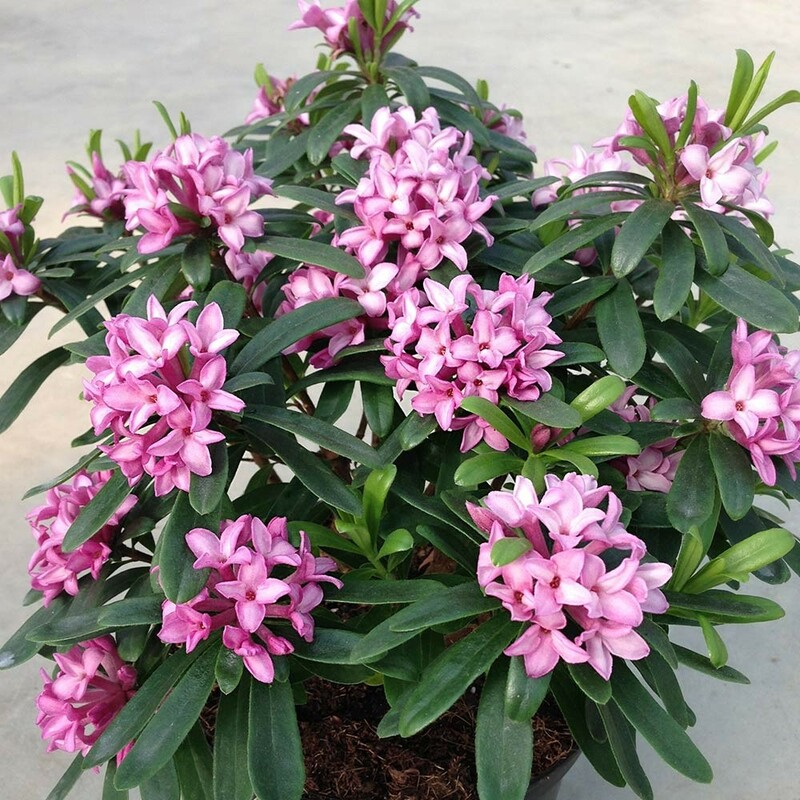 'Pink Fragrance' is a sister to the already highly popular Daphne transatlantica 'Eternal Fragrance' and like her is one of our must have special plants that we highly recommend. Providing an unbeatable show of flowers, this beautiful evergreen shrub is rarely out of bloom from Spring through to Autumn, making it a truly unbeatable addition to any garden. It is unusual in that unlike other Daphne, this tough evergreen flowers on new growth so it simply does not stop producing its intensely fragrant blooms - they just keep on coming. 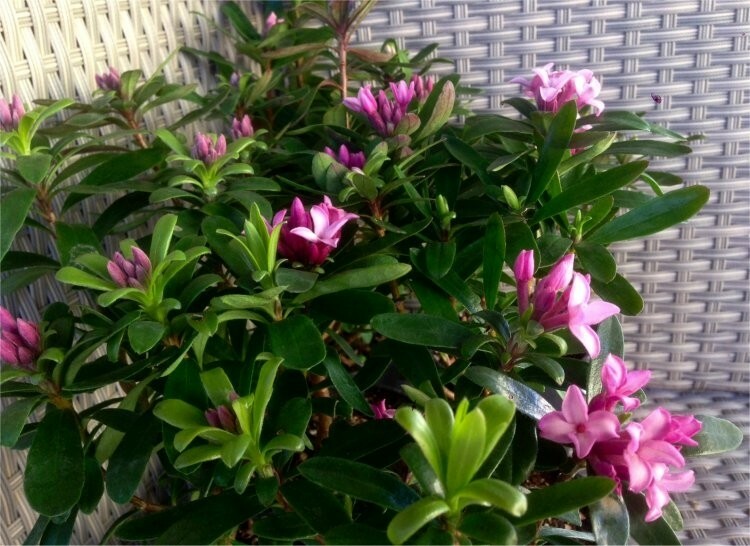 The growth of the plants is neat and compact, to really appreciate this evergreen we recommend planting near a pathway or patio planter, where you will pass frequently and really enjoy the delicious fragrance. It really is an amazing little beauty, the bright and cheerful pink are produced in such abundance that they almost smother the plant. Plant them close to a doorway, entrance or pathway, where you will fully appreciate the fabulous heady fragrance as you pass! Supplied as strong bushy plants in approx 1.5-2 litre containers. These will be full of fragrant buds and flowers in season.